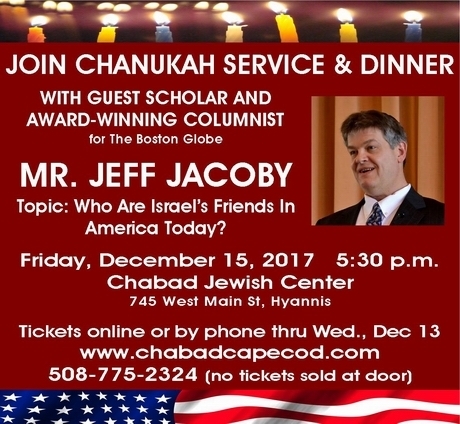 Jeff Jacoby is an award-winning Op-Ed columnist for The Boston Globe, and a nationally recognized conservative voice. The Globe in 1994 recruited him from the Boston Herald, where he had been chief editorial writer since 1987. A native of Cleveland, Mr. Jacoby is the son of a Holocaust survivor and the product of a Jewish day-school education. He graduated with honors from George Washington University in 1979 and from Boston University Law School in 1983. He briefly practiced law at the national firm of Baker & Hostetler, and was later an assistant to Dr. John Silber, the president of Boston University. In 1999, Jeff Jacoby became the first recipient of the Breindel Prize, a major award for excellence in opinion journalism. He has been recognized by the Institute for Justice with the Thomas Paine Award, which honors journalists “who dedicate their work to the preservation and championing of individual liberty.” In 2009, he was presented with the Ben Hecht Award for Outstanding Journalism on the Middle East. In 2014, he was included in the “Forward 50,” a list of the 50 most influential American Jews.